Many PMI Members who downloaded the PDF version of the PMBOK Guide, 6th Edition were surprised to find the “Print” button disabled on the PDF file. It caught my attention too, though I had no intention to waste 400 sheets of paper (for an 800-page guide). In an old blog post, I had emphatically stated that PMI allows you to legally print the PMBOK Guide PDF for your personal educational use. I had even linked to PMI’s Terms page and shared an email reply from their customer care confirming the same. I decided to investigate. 3.2 PMI Content. As a courtesy to our customers and members, we have posted to the Site certain PMI Content. Unless otherwise specifically set forth on the Site or we give you written permission, you may only use and access, download and copy the PMI Content (and print a single copy) for your personal use, and you agree you will not alter, erase or otherwise obscure our copyright, proprietary or other notices on the PMI Content. It clearly stated that you were allowed to print a single copy of the Guide for your personal use. But if that’s the case, then why was the Print button disabled on the Sixth Edition of the guide? Was it due to a technical glitch or have the Terms changed? I thought it would be best to seek clarification from PMI directly. So, I immediately shot an email to PMI customer care. I’m a PMI member (membership ID: XXXXXXX). I would like to print 1 copy of the PMBOK Guide for my own personal educational use. However, the printing on the downloaded PDF is disabled. How am I supposed to print the guide then if printing is disabled? Please clarify. 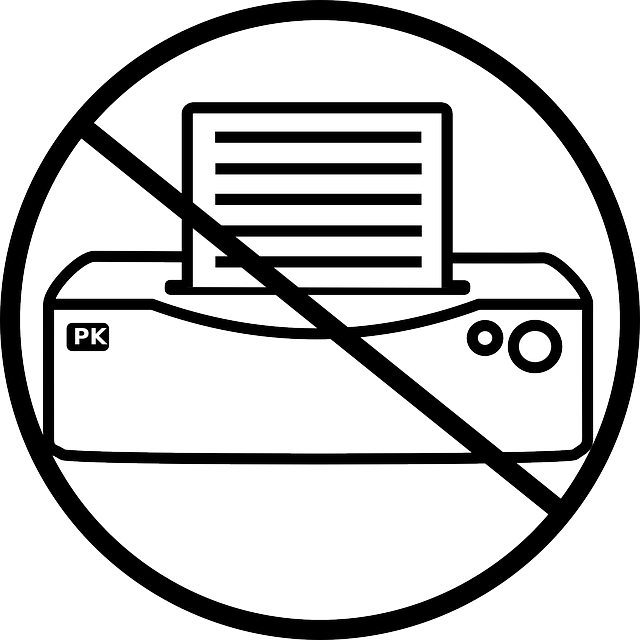 Although previous versions of the PMBOK® Guide were printable, the incidence of piracy has increased significantly in recent years. It is important for us to protect the integrity of our publications so that we can continue to bring you the information you need to drive successful outcomes. As a PMI member, not only can you enjoy read-only access to all of our standards and practice guides, you can also purchase the PMBOK® Guide – Sixth Edition and the Agile Practice Guide bundle in print for 50 percent off the list price. Our terms are now consistent with this change. We value you as a member and a credential holder. 3.2 PMI Content. As a courtesy to our customers and members, we have posted to the Site certain PMI Content. Unless otherwise specifically set forth on the Site or we give you written permission, you may only access and download the PMI Content for your personal use, and you agree you will not alter, erase or otherwise obscure our copyright, proprietary or other notices on the PMI Content. You may not do or allow anyone else to do anything with the PMI Content which is not specifically permitted under this Agreement. You acknowledge and agree that the PMI Content is made available for informational and educational purposes only without representation or warranty of any kind and is not a substitute for legal advice or your professional judgment. Your reliance upon PMI Content obtained by you on or through the Services is solely at your own risk. All rights not expressly granted in this Agreement are reserved to PMI. You are NOT allowed to Print the PMBOK Guide, 6th Edition even for your personal educational use. Note that the same restriction applies to PMI’s other standards as well. In my opinion, the move is unfortunate and PMI is going too far with their protectionist measures. In the Fourth Edition, they added password-protection and disabled the ‘copy’ feature on the PDF. In the Fifth Edition, they started stamping PMI Member Name and ID in the footer section of every page of the PDF version. In the Sixth Edition, they have added a big, bold and ugly watermark “Not for Distribution, Sale or Reproduction” running diagonally across every single page of the Guide. The watermark is super distracting, annoying, and directly interferes with the readability of the guide. On top of that, they have disabled the ‘print’ feature too. If the trend continues, I anticipate that they would prohibit the download of the Seventh Edition of the PMBOK Guide, and only let you read it online by logging onto their website. In my view, the latest move does more harm than good. The only good that it hopes to achieve is to stop piracy. But would it really stop piracy? For anyone determined to break the protection on a PDF file, it takes less than 5 minutes to do so. On the other hand, it is going to cause lot of inconvenience to thousands of PMI members who prefer to read from a hard copy than from an eBook, despite paying a membership fee. They will now have to fork out more $$$ to buy a hard copy version as well (adding to PMI’s bottomline). It also harms PMI’s reputation as a “nonprofit” organization. Let me know what you think about the move. Do you have a better suggestion for PMI to stop the piracy without compromising the readability and usability of their standards? Looking forward to the comments. Hi Harwinder, Good job of research and reporting. Much appreciated. How much longer are people going to be willing to fund and fund PMI when not only doesn’t what they are advocating WORK but that the organization has become nothing more than a cash cow and source of job security for those who run it? Bottom line- there are other organizations that are not as well known or as good at marketing marginal products and who have developed COMPETENCY based credentials that are well worth investigating. Welcome back. It’s been a long time. Hope you’ve been doing great. Thanks for your appreciation. I agree with you and believe that the PMBOK Guide should be made available free of charge under the CC license, but then who will buy PMI Membership then and how will PMI charge thousands of in license fee for derivative work? The irony is that it is not created solely by employees of PMI but rather with the contribution of thousands of unpaid volunteers and project management practitioners like me (BTW, my name appears in the Reviewers section page 660 of the Sixth Edition), but at the end we don’t even get a free copy. Anyway, we know how things are and it’s not going to change anytime soon. I tried downloading the GPCCAR eBook but it seems I need some sort of membership. What’s the easiest way to get access? Hi Harwinder, Good article with nice supporting facts. I am not yet a PMP, but I am a PMI member since 2009. Unfortunately the idea behind what PMI is trying to achieve will be futile and it’s purely an inconvenience to loyal and responsibile members. If they don’t trust us why would we and continue to pay every year for the membership renewal. [edited out by blog author] Did PMI achieved what they are intended to? I am due to renew my membership (PMI & the Local Chapter) by end of this month and I am contending what to do!!!! I wish every PMI member try to raise this with the PMI and make them take an online survey asking for opinion for the benefit of everyone prior to implementing/ imposing such harsh and futile restrictions. Note that I had to remove some parts of your comment because it had started encouraging piracy (I rejected a comment about someone seeking details about it from you). I replied to PMI Customer Care and gave them my feedback. I’m unlikely to renew my PMI membership that will be expiring next month. Hello Harwinder, Thank you for your help in removing /editing part of my earlier comments. I am not in favour of Piracy, but as mentioned the free complementary Pdf copy available for PMI members is unreadable on Tablets while travelling /commuting to work because of password and annoying Watermark . And in this dynamic and ever evolving IT space, the measures taken only causing inconvenience and not really meeting the intended purpose. I meant to say only that, nothing above or beyond. Thank you once again and appreciate your understanding. Wish you a nice day and a wonderful weekend. In addition to my earlier comments, in the ear if digital mobile readers, tablets I am unable to open the guide to read on them is really a great inconvenience. Nice article and I agree that whatever security measures PMI adds in, it is just a matter of time when security breachers will bring out a standard pdf version and it will be freely available worldwide, free of cost. Thanks for your comment. I absolutely agree with you. The only good it would do would be to increase the sales of hard copies translating to more revenue for PMI. So from their perspective, it appears to be a smart move, even if it doesn’t stop piracy one bit. PMI = Profit Making Initiatives? In addition to that, the paper edition is a nightmare. To avoid any counterfeit, all pages are in grey and too thin. Reading is clearly not possible. Of course, such details are not mentioned in the PMI bookstore. Maybe PMI do not want anybody to read the edition 6th! That’s very unfortunate too. Thanks for sharing this information. I appreciate it. Cecile, Harwinder, this is my big gripe too. In assertively protecting their IP, it seems to me that PMI is being massively disrespectful to their members and customers. Their strategy is more about the bad actors, than it is about the honest people who pay (a lot of) good money for their publications, and deserve to be able to read the content. From para 1.4 of PMI’s code of ethics: ‘The values that the global project management community defined as most important were: responsibility, respect, fairness, and honesty.’ Hmmm. I have made this complaint on my site, and I hope senior PMI representatives will start to take notice of of measure articles like Harwinder’s. Customer reviews on Amazon explaining everything. I’ll not buy a book. Thanks for pointing me to the Amazon reviews. The “anti-counterfeit print technology” seems to have really compromised the readability of the guide. This is so unfortunate. PMI seems to be headed in the wrong direction. I hope more and more people voice their concerns, and that PMI takes note and does course correction. Thanks for your note, Mike. Yes I do totally agree with you …. Protection of PMI rights depends on the PMI’s code of conduct that we have agreed to be PMI members and certified PM… the good point that PMI is not profitable organization so they go that far in protection…. it is totally unfair for us as PMI members to be the ones who pay for that as to break the security of the file i does not take more than 5 minutes..
the first line of the PMI rights protection is us as PMI members and they should put more trust on that …. Thanks for sharing your views, Mohamed. After 4-5 years, I am rekindling myself to all that is PMI and find your blog still captivating. Your home page now looks super clean! As for this article, I think if PMI wants to truly propagate project management practices far and wide, then as a NPO (non-profit org) it should make all its standards freely and widely available. Since that was missed, and a lot of restrictions have been placed over the years, the PMI should allow atleast one print of the soft copy and then make the print option disabled. Thanks for comments about the blog. Yes, I went for a minimalistic theme this time around and removed most of the distractions. I agree with your comments. However, disabling it after the first print may not be technically feasible (at least I don’t think PDF has any such feature). I tried with Document viewer (alternate pdf viewer version 3.18.2 https://wiki.gnome.org/Apps/Evince) on Ubuntu 16.4 and was able to print. These measures by PMI are not in the interests of members. Thanks for you comment, Arjuna. I want to point out that it would still be illegal to print the guide per the new terms defined by PMI. So, I’m not endorsing the approach. That was with PMBOK 5. Things have changed with PMBOK 6. I opened PBMOK in my chrome pdf viewer plugin and print icon was enabled. I never knew that it was a restriction and no problem with printing. Could you please email PMBOK 6th edition pdf. Please don’t post such requests for illegal copies. Your email would never be published on the site anyway. Upload the PMBOK to google drive. Right click and select “make a copy”. double click on the new copy in google drive. it will load the preview. download it or print to pdf and you have an unprotected copy of this to be printed or opened without password. I really understand the frustration and wanted to let you know that there is a way around. This is a big blow to the freedom to education. Its always good to have a printed copy when you read a book like PMBOK (it is no less than reading a Law book). Though it is the era of electronic reading but it is limited to news, facebook etc. For the intense education, it is still good to have paper based reading material. It is nothing but another way for PMI to open a new source of earning. I hope this goes away soon so that PMP aspirants can print and make learning fun. I am a PMP Aspirant and am planning to take the test in 2018. I am VERY VERY disappointed with PMI. I am now having second thoughts about renewing my PMI membership and taking the test. I downloaded PMBOK 6th edition, skimped through some pages and wanted to print Table 1-1 (the table that showed the area mapping of progress groups and knowledge area) but I am not able to do so :(. I would like to ask PMI one question: if PMI is the project manager, how is he/she going to motivate the project team (aspirants like me) to get the work done (that is to be certified)? What about their the code of ethics about FAIRNESS. Are they being fair to PMI members who pay membership fees yearly? Do not forget, after certification, every 3 years, I have to pay to get PDUs (e.g., online classes in PMI website or attending conferences, etc.) and to pay membership renewal fees, so having 20+% increase in pay would mean, in my opinion, giving away that increment to PMI to fill their pockets. Harwinder, you mentioned you were “hoping more and more people voice their concerns, and that PMI takes note and does course correction”, where do I go to voice my concerns? Thanks for sharing your comments. I can empathize with you. I suggest you tweet to PMI on Twitter and post it on their Facebook wall, send an email to their customer care, and also share it in forums on Linked In and other networks. I think this is ridiculous and misleading to tell people you can download a free copy but can’t print nor highlight anything. Is there someone I can call or email this too? It’s not right not fair to jones members. Thanks for your comments. You can call or email PMI customer care to express your concern. You can also post to their social media channels. I agree that this change in policy stinks for the members. I don’t want to carry around my computer or large book everywhere. I wanted to print several of the process groups only to take on a long trip. I will be unable to do so. What a pain. It’s an absurd policy and causing lot of inconvenience to legitimate owners of the PDF version. I encourage you and everyone else affected by this policy to write to PMI via their social media channels and email. fair decision, we need particular material from PMBOK, but we are unable to print. every one is having their own way of reading. i think most of the people are comfortable reading hard copies. I am really upset with PMI, after paying the membership I got really disappointed with that huge and annoying watermark, the fact I cannot print once the book and to make it even worst on user experience, they blocked highlights and comments. This is ridiculous!!!! It is indeed ridiculous, and very annoying. As I’ve mentioned in the other comments, do not stop here. Reach out to PMI and let them know about your views. Hopefully, with more and more complaints pouring in, they will realize their mistake and the need to keep the interest of their "customers" first. I have been a PMI member since 2007, when I became a PMP. I have a copy of the 5th edition on my desk that I printed and refer to it continually. It is a source of information to me and to the junior PMs that I mentor. As you, I am sorely disappointed that I cannot print the 6th edition with the Agile guide, especially since I am creating a hybrid methodology for our organization. There are many options that PMI could have implemented, the easiest could be providing a free copy to all PMI members; They could implement a flag on each member that is updated on print. I would also be interested in the data that is used to justify the pirating theory (the number of copies of the PMBOK that have been pirated and the source of the information). I will most likely maintain my PMP credential for the next couple of years, but will do so for my career and not to support PMI. Thanks for a great article. Thanks for sharing your thoughts, Bert. I completely understand your feeling. I do not have a favorable view of PMI anymore and do not believe that they are a non-profit organization. I sign up for PMI membership at the time of renewal of my certifications, but do not feed more dollars to them otherwise. I concur that the PMBOK 6th edition should be covered by creative commons licensing. As a member of PMI and certified PMP, I’m pretty disappointed with PMI. Will be re-thinking my membership. Good to see more and more people disapproving of PMI’s approach. Thanks for your comments.